We are running this October in the Susan G. Komen race for the cure 5K. Please feel free to join us! We will have our pink on and running in honor of some amazing women in our lives. 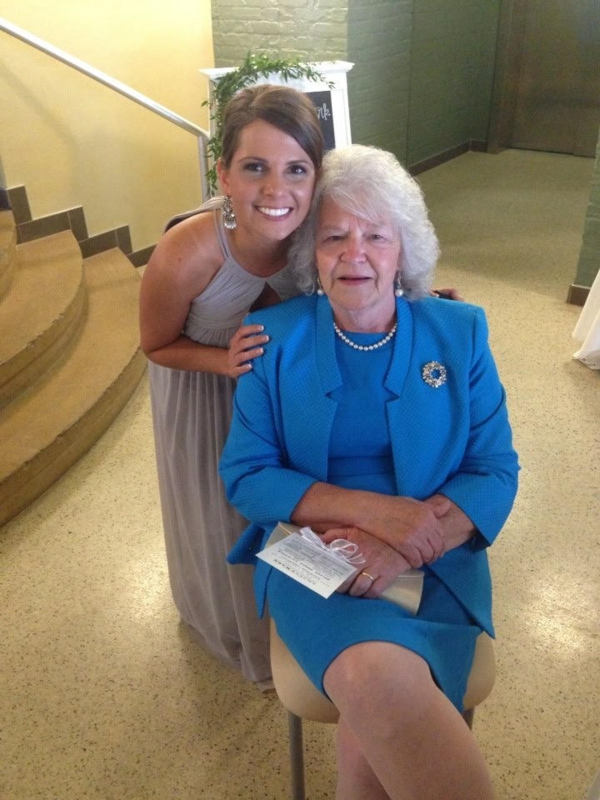 Speaking of an amazing women, let me tell you about Mamaw Bertha. She is a very special woman in my life and she is so inspiring to me and everyone that meets her. She was diagnosed with breast cancer at the age of 49 and the doctor told her she only had 5 years to live. She was going to prove her doctor wrong. After living 12 years cancer free, she was diagnosed with another type of breast cancer, but she did not let that change her fighting spirit. Bertha is one of the strongest and bravest people I know. Two years ago she received more news that she has metastatic breast cancer that spread to her bones. Bertha is taking a trial cancer medicine right now and is doing great with it. She is 77 years old and just flew in an airplane for the first time. She is at the beach with her family and enjoying this precious life. I hope she knows how many people including me she inspires daily. The Susan G. Komen Race for the Cure Series is the world’s largest and most successful education and fundraising event and we are happy to be supporters. This event funds awareness for the breast cancer movement, celebrates breast cancer survivorship and honors our loved ones. Stories like the one I am sharing is why we adopt a charity each month. What is your favorite charity? If you have any ideas of charities for us to adopt please share. We would love to be a part of your favorite charity. Our team here truly has a passion for helping others here and outside of the dental office. Please join our flossed and fabulous movement.